Wondering how to make lasagna? We’ve got the details! 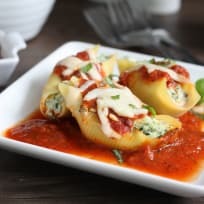 These spinach and tofu stuffed shells are healthier alternative to traditional stuffed shells. It’s perfect for your next meatless Monday too. It's time to break out of your boring lasagna shell. 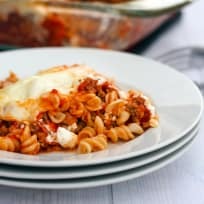 Indeed, it's time to give these unique lasagna recipes a try! What the heck is 7-Layer Klondike Lasagna? You're about to find out. Prepare to be both very excited and very scared. 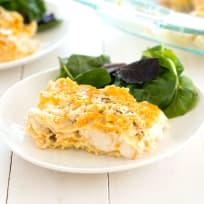 Super easy gluten-free lasagna bake quickly becomes a family favorite. My family calls it dump lasagna, because it is just as easy as lazily dumping everything into the casserole dish. 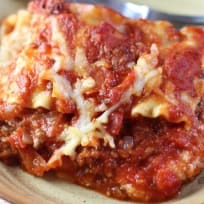 Ground turkey lasagna that's quick and easy, and oh so good. It makes just four servings, so it's perfect for a weeknight family dinner! This traditional style Lasagna Bolognese is not the cheesy staple we're used to eating, but we don't think you'll mind once you give it a shot.